A completely custom e-learning product with e-commerce, learning management system (LMS), membership subscriptions, and streaming video. The single most important predictor of how we parent is how we were parented as a child. 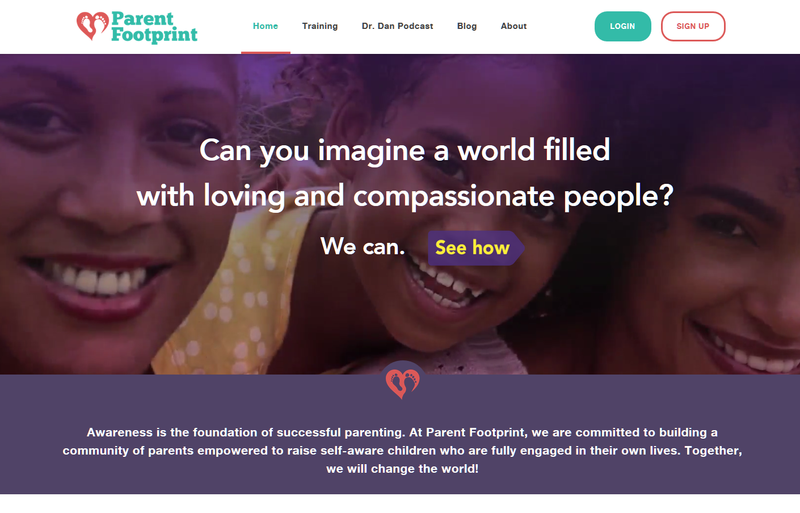 Parent Footprint Awareness Training is the first generation of truly interactive web-based training that is designed to simulate the experience of sitting down with a trained professional to examine our parenting beliefs. By becoming more aware, we can create our own Vision of Successful Parenting and then choose the footprints that we want to pass on to our children and grandchildren.